Finding an effective medical treatment for your migraine attacks is a blessing, but if it’s medication-based it could be a two-edged sword. Many migraineurs get temporary relief from headaches through a variety of therapies, including preventive medications such as triptans, ergotamine and caffeine combination drugs, opioids, glucocorticoids and over-the-counter painkillers. Many of these medications become less effective over time, or cause unpleasant side effects after long-term use. Stopping the use of migraine medications suddenly is not advisable, but a medication detox can help you do it safely. Before starting the detox process, discuss your options with your migraine doctor. This is important because the medications you use may have unanticipated withdrawal issues, which your doctor could warn you about. He or she might also be able to prescribe or recommend alternative pain relief treatments to see you through for the duration of the detox. Timing is everything, so plan your detox for a time when you’re most likely to be able to complete it. Choose a weekend or take a few days’ vacation time or sick leave, so you don’t have to work. Reduce your exposure to stress and your common triggers for the withdrawal period. If barometric pressure is an issue for you, for example, identify a 3 to 5 day period during which no thunderstorms are predicted for your region. It may be impossible to cover all the bases, but a little planning can go a long way towards helping you succeed. Expect that during your withdrawal you’ll likely experience some headache pain. If you have been suffering from medication overuse headaches (MOH) these will become briefly more intense, and you run the risk of having a migraine attack simultaneously. Ensure you have somewhere cool, dark and quiet you can retreat to and rest. Minimize noise in the household, and tell the family you will be out of action for a few days. Magnesium, which studies show reduces stress and soothes tension, and promotes health circulation while it regulates the calcium channels. Riboflavin or B12, which showed dramatic health benefits in 59 percent of patients who took 400 mg a day for three months. CoEnzyme Q10, which delivered significant benefits for almost two-thirds of test subjects taking 150 mg per day as a preventive option. 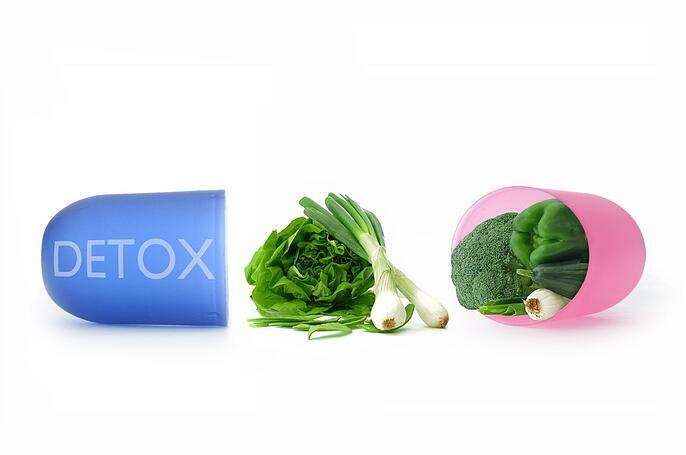 If anything crops up during the advance phase of your detox, you might need to postpone it until conditions are ideal. Even if you’re dealing with side effects and MOH, there’s little point going through this process only to be unsuccessful. Once you start, it’s essential to see the process through to the end unless a crisis situation intervenes. Otherwise, you risk setting yourself up for an ongoing cycle of attempts and failures, which in the long term will make your MOH worse and discourage you. This could lead to depression and stress, which both have knock-on effects for migraines. Prevent your thoughts from centering on the detox, stressing over work issues or focusing on family problems. Keep your mind lightly and pleasantly occupied with an audio book from your favorite author, a jigsaw puzzle or another “safe” occupation without triggers. Make sure you have nothing pressing that needs to be done, and get plenty of rest during the detox. Coconut oil and extra-virgin olive oil. Dehydration is a common trigger for migraine attacks, so it’s important not only to ensure you stay sufficiently hydrated, but to monitor and track your fluid intake during a detox. Don’t rely on drinking when you feel thirsty; by then your body is already low in fluids and a migraine attack could be on the horizon. Set aside your liquid intake for each day in advance, and try to ensure you consume it in regular quantities to avoid putting yourself under pressure at any point. Plain water is best for hydration, but if you really can’t stand the taste try coconut water—it’s high in natural electrolytes, and doesn't have the sugar content of Powerade or other artificial drinks. Getting through a detox takes willpower and commitment, which is easier if you understand the temporary nature of the process and realize it can put you on the path to better migraine treatment options.